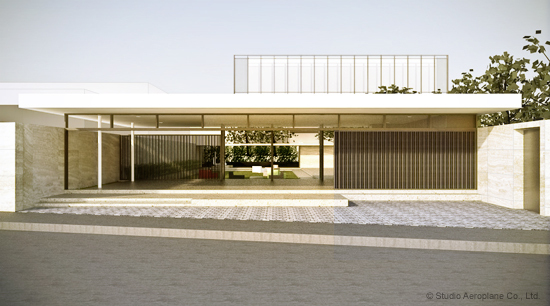 This all-weather multi-function sala (Thai pavilion) is proposed to be built on part of a parking lot in front of a hotel as part of its renovation plan. This hotel is located on a busy street in a northern city in Thailand. Besides its main functions as a pavilion, the underlying purposes of this structure are to create a green space that blocks the street view and traffic noises from the main hotel building; to reduce the presence of cars and asphalt; since originally hotel guests must walk through the parking lot every time they go in and out, this sala provides a walkway, which completely separates humans from cars; and, lastly, to provide bike parking facilities to help promote biking culture in the town. 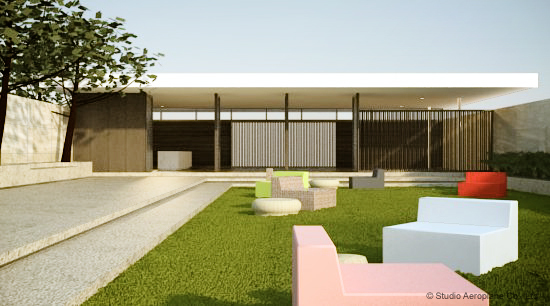 The main design of the pavilion itself consists of overlapping screen doors, which can be used to create different level of privacy for different uses of the space.